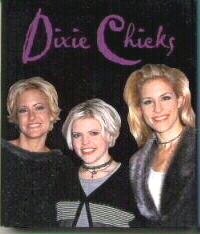 The following books have been written about the Dixie Chicks. None of the books have been authorized by the Chicks. The descriptions are from the publisher. Just two short years ago, The Dixie Chicks were practically unheard-of outside of Texas, but today, they're the hottest act in country music. The explosive popularity of their album Wide Open Spaces has rocketed the Chicks to the top of the charts, and in the last year alone, they have won three Grammys (Best Country Album, Best New Artist and Best Country performance by a duo or group with vocal), two Country Music Association awards and an American Music Award. Their new album is expected to do even better. Now, veteran country music writer Ace Collins has captured their whole inspiring story, from their early days playing to loyal fans in Dallas, right up to their current success and thrilling future! These beautiful, talented young women from Dallas, Texas, have taken the country by storm. Their flawless three part harmony and their skills on guitar, mandolin, dobro, fiddle, and banjo can be heard all over the FM dial, in arenas and concerts from coast to coast, on the Letterman Show, and even at the last Presidential inaugural. The Chicks got their start jamming for tips on a Dallas street comer in 1989 when teenage sisters Martie and Emily Erwin formed a band with two friends. Over the years, the band underwent several changes of lineup but were repeatedly voted Best Country Band in Dallas. A few years later, they were opening for stars (like Garth Brooks and Clint Black) and even did an ad jingle for McDonald's!). Looking for a new singer, Martie and Emily interviewed Natalie Maines, daughter of steel guitar virtuoso Lloyd Maines. Within weeks, Natalie dropped out of college and moved to Dallas to become a full fledged Chick in 1996. The Dixie Chicks are known in the music business as "the real deal" for their integrity, enthusiasm, and ability to deliver the goods. 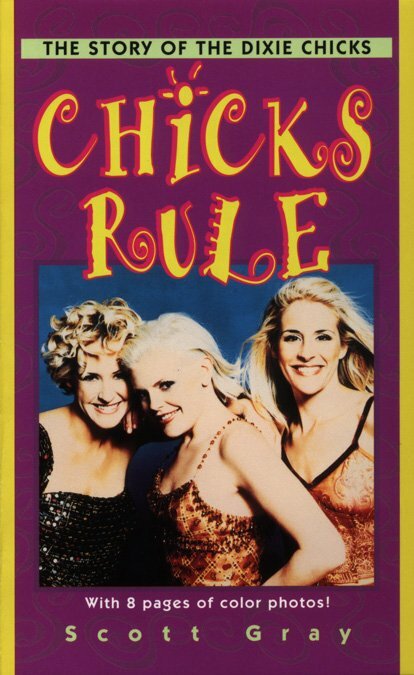 "Chicks Rule" will get to the heart of their story, and fans of The Dixie Chicks will get to know them as never before. They're talented, they're gorgeous, and they're one of the hottest new country groups around. Here's a look at the flashy trio who make up the Dixie Chicks. The Dixie Chicks are an overnight sensation -- and it only took ten years. With albums charting regularly at the very top of the pop and country charts, and with their album Wide Open Spaces winning two Grammys and selling seven million copies since its release in 1998, they hold a chart dominance unprecedented for female recording groups. 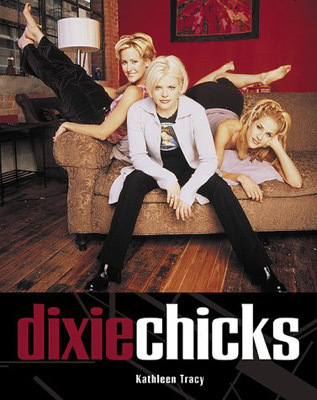 Dixie Chicks is a ten-year history of the popular Texas-based recording group that follows the band members from their humble beginnings on the street corners of Dallas all the way up to their present fame. Written with the help of former Dixie Chicks lead singer Laura Lynch and scores of insiders, the book is based on extensive research and original interviews. The New Photo Bio! These days when they talk about "grrrl power," they say it with a twang. The Dixie Chicks have almost single-handedly reinvented a classic country sound, and so gone where no widely popular girl group has ever gone before. Not only do country purists applaud their traditional roots, but their modern take on the tunes is drawing in fans who once dismissed country as music for men and women with big hair and sequined outfits. Loaded with exclusive color photos and revealing biographical details, this first photo album of the Chicks tells their story with more that 50 gorgeous pics. The "Chicks'" founding members - Emily Robison and Martie Seidel - had been playing bluegrass and Western swing on Dallas street corners since the 1980s. The addition of lead singer Natalie Maines in 1995 spurred them to create a new sound and image for themselves. Kathleen Tracy writes about the musical and stylistic transformation of the group, looking at their early tumultuous years as well as their more recent climb to the top of the charts, with Fly - their latest album.Like many of the songs chronicled in their albums, The Dixie Chicks is a story of willpower, sacrifice, and artistic vision. Finally, here's a book that will allow readers to get up close and personal with the women that Rolling Stone has called "the badass queenpins of country." A children's book which chronicles the rise to fame of the girl group whose music combines the traditional sounds of country with a mixture of modern country, Texas swing, bluegrass, and a touch of rockabilly. When the Dixie Chicks went from being the leading lights of country music to heartland pariahs almost overnight, thanks to one Bush-bashing aside on a London stage, it became clear that country music was a locus of political controversy. A year later, the list of entertainers stumping for Dubya consisted almost exclusively of country stars such as Brooks & Dunn, Lee Ann Womack, Sara evans, and Travis Triitt. How did the erstwhile music of the rural working class come to be the house genre of the GOP? 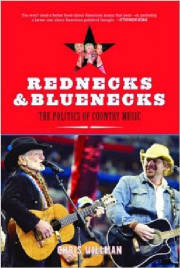 In Rednecks & Bluenecks, Entertainment Weekly senior writer Chris Willman looks at how country's increasing popularity and conservative drift parallel the transformation of the Democratic South into the heart of the Republican mainstream. Meanwhile, for all those Steve Earle souls trapped in Toby Keith counties, alternative country has emerged as a refuge for the loyal opposition. Willman weaves together original interviews with dozens of key country and alt-country figures -- including all of the aforementioned artists as well as Rodney Crowell, Chely Wright, Willie Nelson, Merle Haggard, and many others -- along with Nashville insiders and fans of all political stripes. In Women In Texas Music, Kathleen Hudson lets us listen in on conversations with thirty-nine musical artists including Emily Robison, Susan Gibson, Terri Hendrix, and Lee Ann Womack. 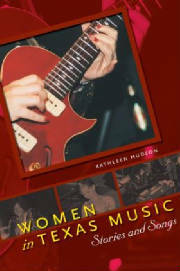 Hudson encourages and allows the women to tell their own stories as she delves into their life journeys, creative processes, and the importance of writing and performing music, be it blues, rock, country, folk, jazz, or pop. The interviews are warm and open, like good friends sharing the lessons that life of playing music has taught them. 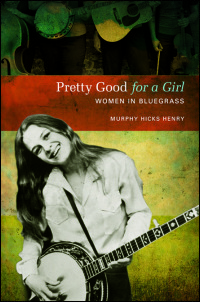 The first book devoted entirely to women in bluegrass, Pretty Good for a Girl documents the lives of more than seventy women whose vibrant contributions to the development of bluegrass have been, for the most part, overlooked. Accessibly written and organized by decade, the book begins with Sally Ann Forrester, who played accordion and sang with Bill Monroe's Blue Grass Boys from 1943 to 1946, and continues into the present with artists such as Alison Krauss, Rhonda Vincent, and the Dixie Chicks. Drawing from extensive interviews, well-known banjoist Murphy Hicks Henry gives voice to women performers and innovators throughout bluegrass's history, including such pioneers as Bessie Lee Mauldin, Wilma Lee Cooper, and Roni and Donna Stoneman; family bands including the Lewises, Whites, and McLains; and later pathbreaking performers such as the Buffalo Gals and other all-girl bands, Laurie Lewis, Lynn Morris, Missy Raines, and many others.